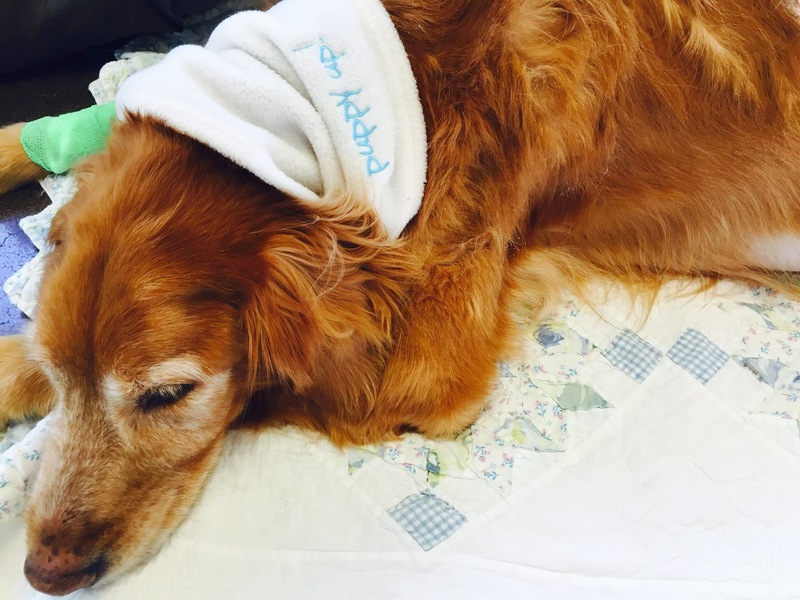 Recently my good friend, sous chef (she hates it when I call her that), and the princess of pastries – Valerie – her dog Sydney went from seemingly happy, healthy, full of life and love to lethargic with loss of appetite. An ultrasound Tuesday revealed a 17 cm mass in her spleen with possible liver involvement. Valerie had to make the heartwrenching decision most of us have had to make but in a fraction of a moment. Once hemangiosarcoma is suspected, time is of the absolute essence. For Sydney, 13 years old though a spirited lass by all accounts, the clock was ticking. Valerie opted to spare no effort to save her life. Her surgeon, Dr. Taylor, successfully performed the splenectomy and a liver lobectomy as well as removing an intestinal tumor that wasn’t evident through the ultrasound and I’m happy to report that Sydney has made it to Day 2 of postoperative care. Though her status still guarded, hopefully Sydney can go home today and be with her mother. Three times I’ve gone through this personally with Malcolm, Murphy, and Hudson and I’ve been by the side of many friends with dogs with cancer. That is one of my jobs. I awakened early this morning relieved by the promising news of Sydney’s condition but reminded of a poem by Robert Frost. YBD’s Notes 1: I want to thank Valerie for her courage in not only fighting to save her girl’s life against all odds but for allowing me to share Sydney’s story. She just isn’t able to speak about it yet but she knows I must. YBD’s Notes 2: Nearby is a pic of Sydney with my Puppy Up neck gaiter I gave her to keep her warm. Isn’t she a beaut? YBD’s Notes 3: Perhaps the main reason we got Sydney into the vet before her spleen ruptured is by noticing her distended belly which will be added to our list of early warning signs of cancer. YBD’s Notes 4: BTW Sydney is NOT a boy (inside joke).